..:: WE INVITE YOU TO COOPERATE WITH US >> G E O D O R ® ::..
We are a land surveying company operating in Podkarpacie district in Poland for many years. Our aim is to attend the clients quickly and professionally. Good organisation of work makes our prices not expensive and work on the order starts immediately after undertaking. Moreover, thanks to our own computer programs we are more efficient and our clients are even more contented. 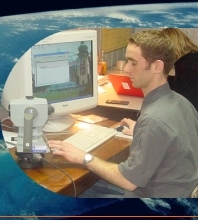 History of our activity dates back to 1983, when we have performed professional land surveying (geodesy and cartography) services and prepared maps for both commercial, residential and farm areas, buildings, pipelines, streets and other facilities, initially taking orders mainly from private people. Within the next years apart from diverse small orders we did lots of relatively large works for individuals, companies as well as public sector, in which the area of surveys included the territory of entire housing estates, villages and towns. engineering and construction surveys during detached housing estate building by Załęzka street in Rzeszów, marking out, post-executory inventory, precise control surveys, and as-built surveys for workshops building for the firm Przedsiębiorstwo Transsystem z Woli Dalszej beside by Łańcut, and precise numeric map preparation fo that firm engineering and construction surveys during reduction-survey gas station building in Boguchwała; w Rzeszów - station for heat and power plant in Załęże; in Głogów Młp. ; w Jasionka gm. Trzebownisko, and also services during building reduction-survey gas station (capacity 24 000 m3/h) for heat and power plant in Tarnów city. 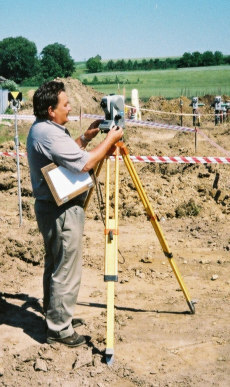 Years 2001, 2003, 2004 - land surveying services for Zakład Gazowniczy (Gas Institute) in Rzeszów including preparing maps for planning, marking out and post-executory inventory of gas pipelines. and if necessary, contact you with other building related companies.